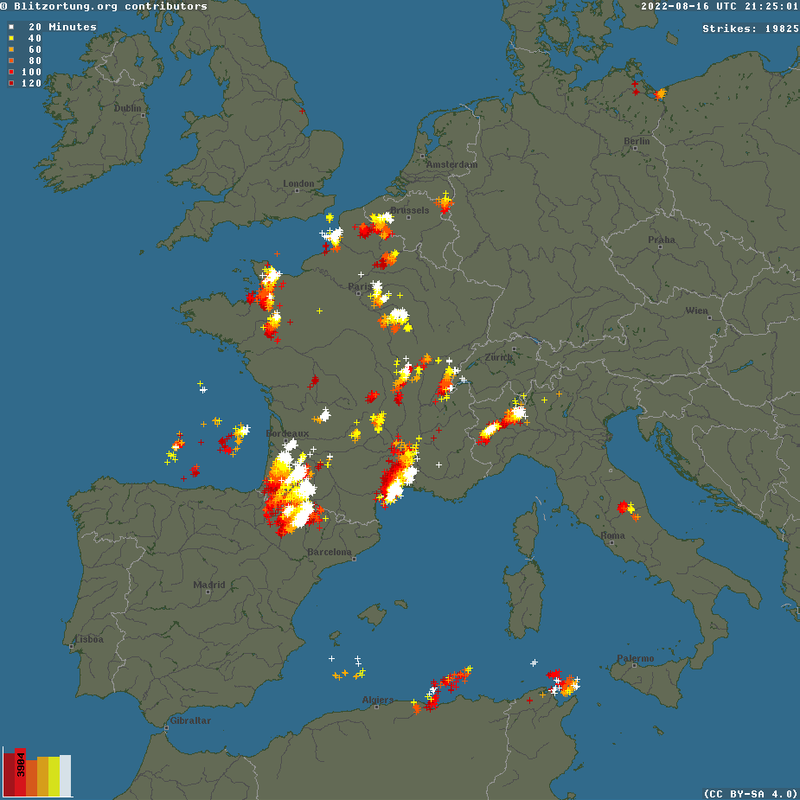 Every lightning flash is displayed as a colored dot. The color of the dot represents the age of the lightning flash. A table displaying color-age correspondences is located at the top/left side of the map.